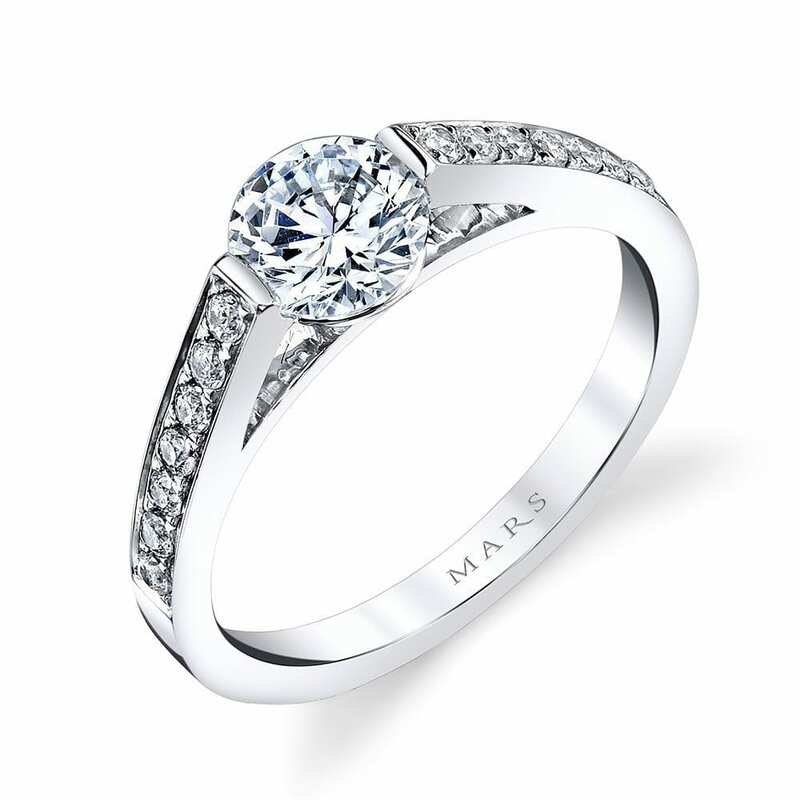 A Modern Engagement Ring with High Polish Single Row, Tension Set/Bezel Set Center Stone. 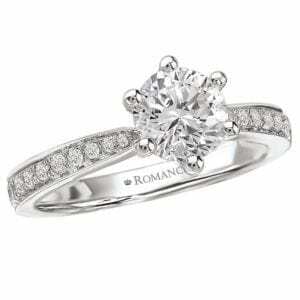 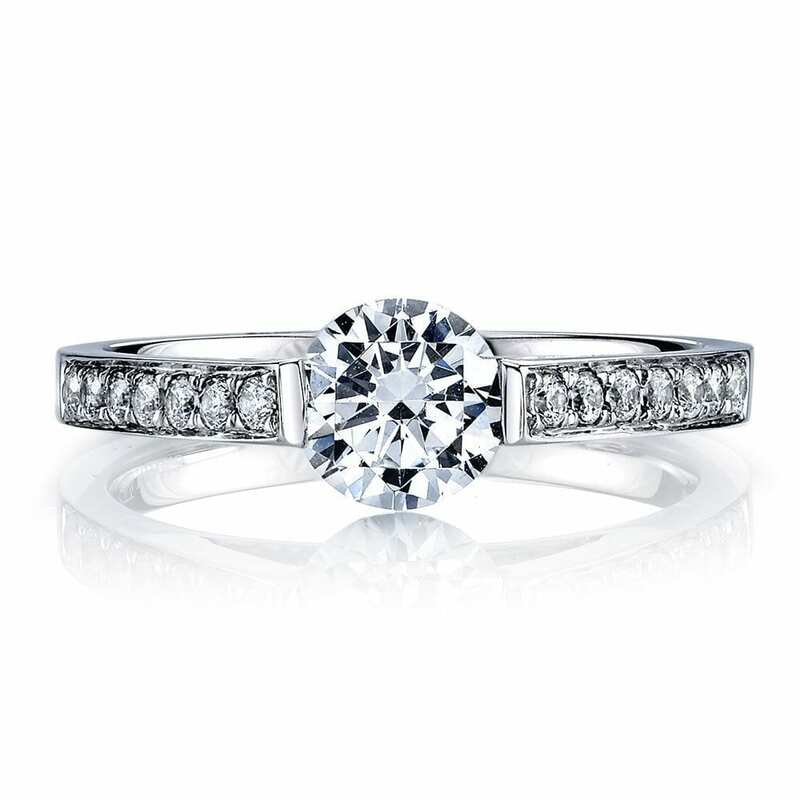 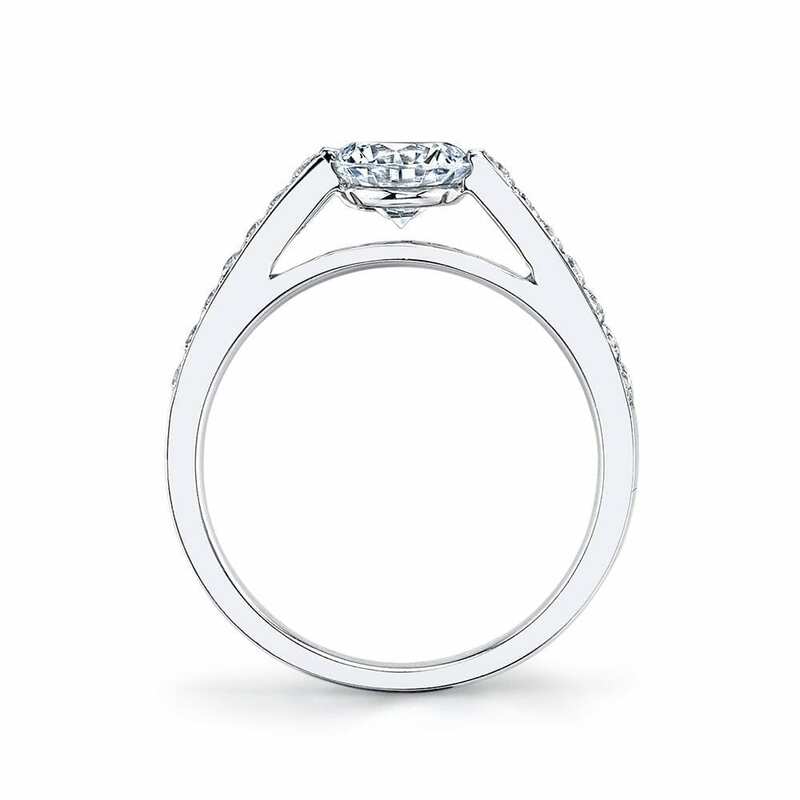 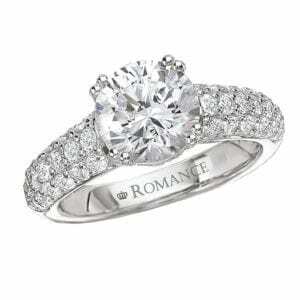 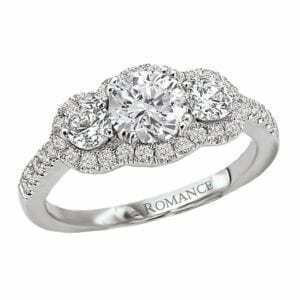 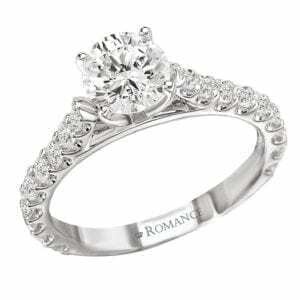 Shown in White Gold with Three Quarter Carat Round Brilliant Cut Center; Center excluded from Price. Side Stones: 0.20 Carat Total Weight.